Proof that it is spring: daffodils dot the landscape. Ramps fleck the woods. 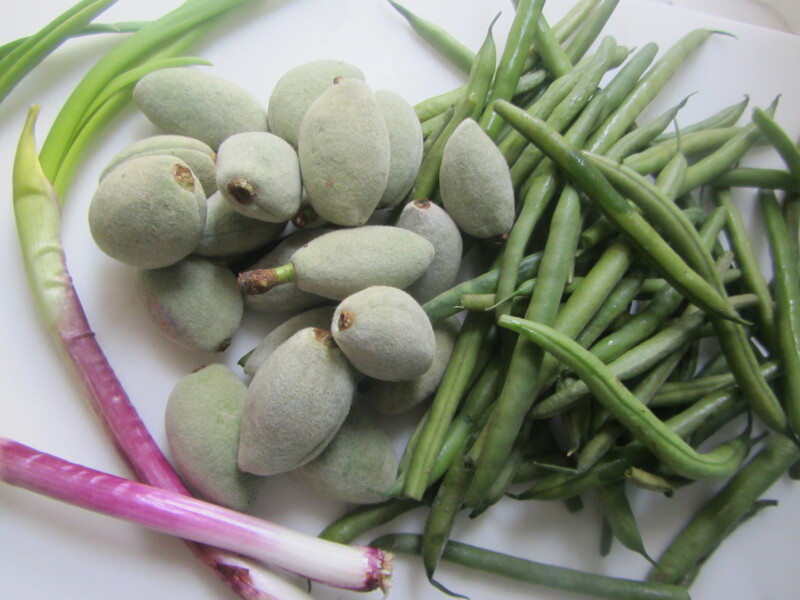 And fresh green almonds have been picked. 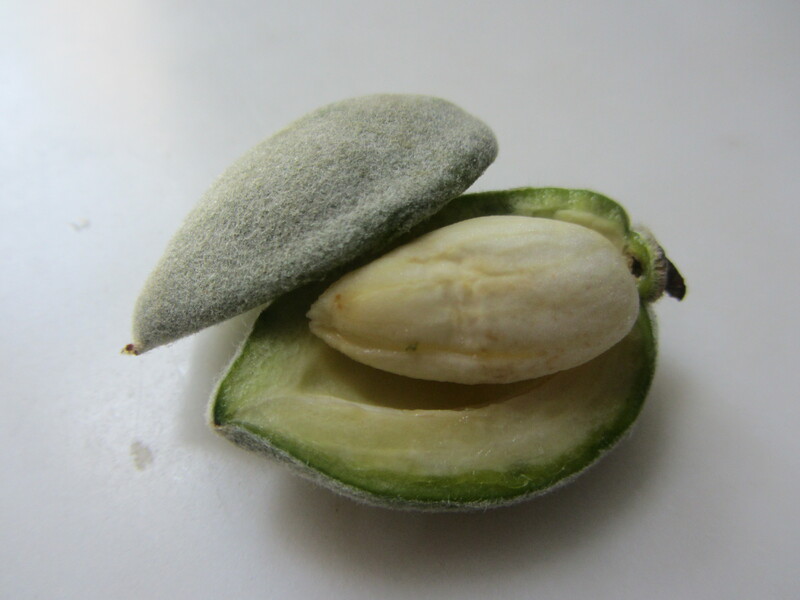 Fuzzy-skinned, about the size of a large olive, each contains a soft, juicy white almond inside. Here, their moist center contrasts with the pan-seared scallions and green beans. 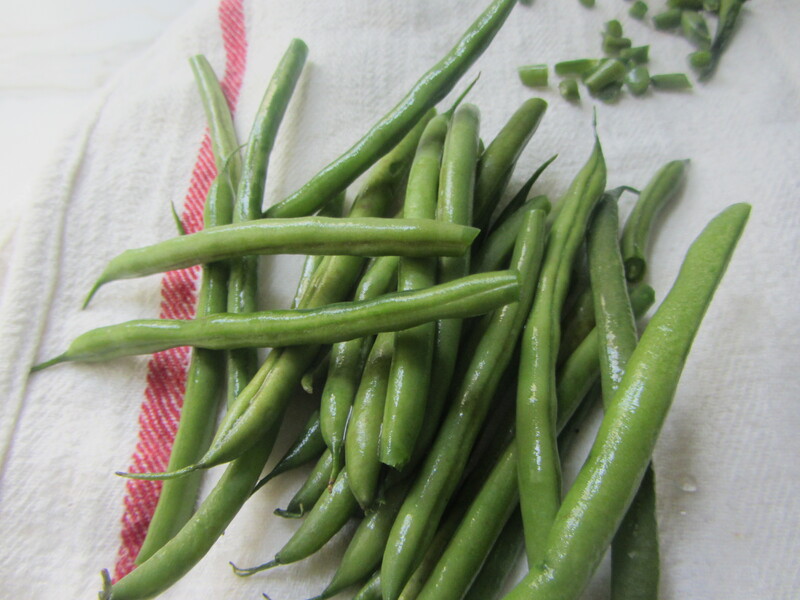 Process Wash the green beans well. Remove the tough, brownish ends and set aside. Remove dry outer layer of scallions and wash them. 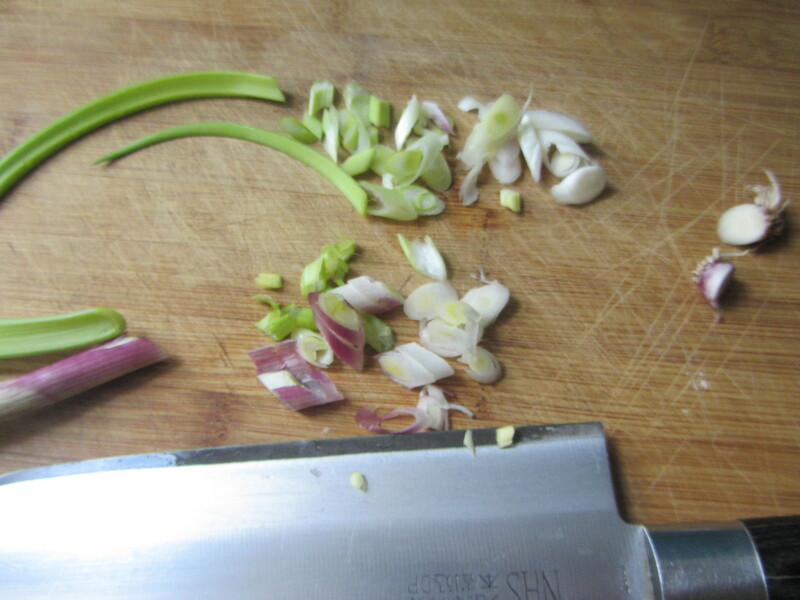 Slice the scallions into small rounds and set aside. 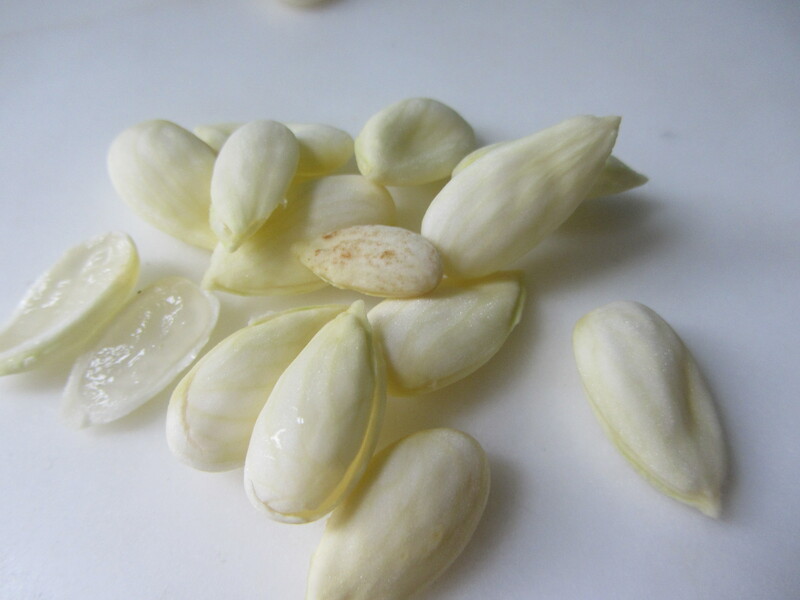 Cut each almond in half on the skin’s seam. The inside resembles an avocado in color but not size; remove soft white almond inside. set aside. Note: leave a few almonds whole to use as garnish. Heat a small to medium-sized stainless steel skillet on a medium to high flame for about two minutes. Add the olive oil to the pan. Then add the chopped scallions. Allow them to brown for about 30 seconds. 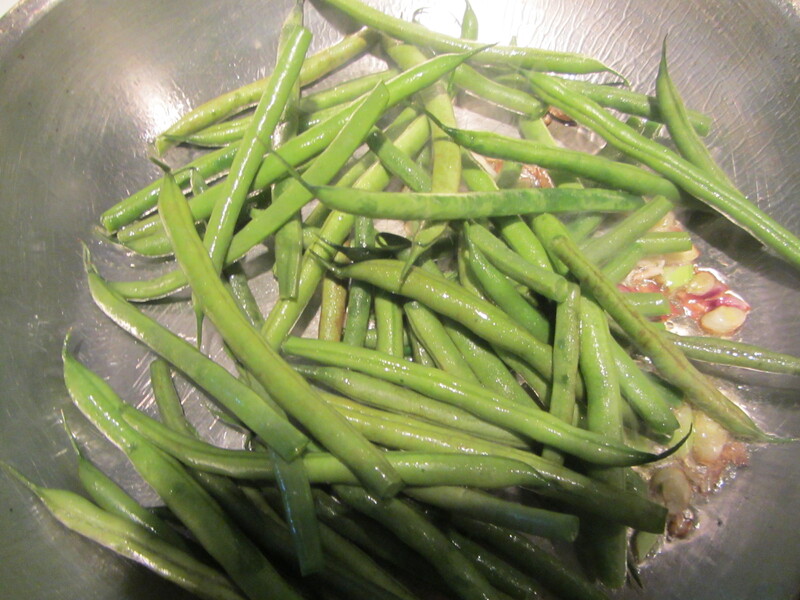 Add the string beans to the pan; they should sizzle and begin to blister and brown on the surface. 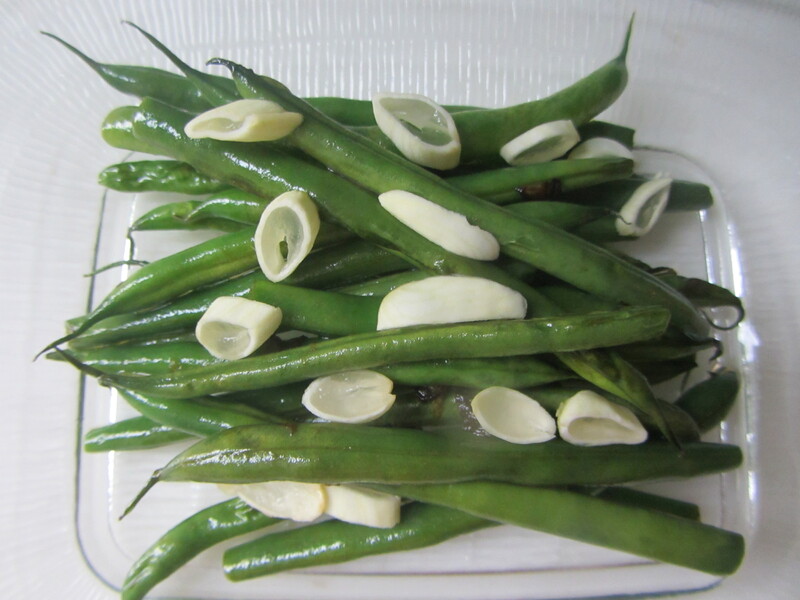 Remove them from pan; arrange them on a plate. Sprinkle with fresh chopped almonds and sea salt and pepper to taste.